Withdrawal stage-Your body goes to sleep and is in auto pilot where you are consciously unaware of your surroundings. Cataleptic stage- You are kind of paralyzed and unable to move but your senses-sight, hear and touch-are very much activated. Separation stage- Your physical body and astral body are separated at this stage. Free movement- Your body is able to astral project at this stage. Re-entry stage- At this point, your astral and physical body come together. You may be awake or asleep after this stage. The key to astral projection help is to relax completely. If you are looking for tips to astral project tonight, you must not feel anxiety, stress, fear or anger. You have to be completely relaxed. So breathe in deeply and meditate. If needed, used some guided meditation CDs or Videos. Relax completely and let go all emotions and efforts. Spiritual cleansing includes removal of all kinds of baggage-emotional baggage from this life and past life etc. You cannot proceed to astral realms if you are carrying guilt, anger, frustration, fear etc. So practice meditation daily until you feel nothing but love and compassion for all. You have to get rid of all negative emotions and energy through positive thinking. You must also do a lot of charity and volunteering to help needy and poor as this is the highest form of spiritual cleansing there can be. So, try to volunteer daily or once-weekly at local soup kitchens, churches etc. Also listen to spiritual discourses in a group; sing songs of devotion and dance to activate all chakras. This is an essential step of spiritual cleansing and astral projection. White light actually helps protect you from negative entities. It also enables you to raise your energy levels. So surround yourself with white light constantly and when indoors to raise vibrations and reduce negativity from touching you. Self hypnosis is deep relaxation of the mind which prepares your mind for astral projection. If needed, seek help of a hypnotist who can guide you. A session with a hypnotist expert can relax your mind, change your outlook and reduce fear and negativity. I am not doing it right– There are many indicators that tell you are ready to astral project. These include tingling sensation, feeling of lightness, change in temperature, a drowsiness of sorts, etc. I do not have the ability– Many people are not aware that each human being is born with a natural ability to astral project. I just can’t relax– Sure we all have troubles and problems- unpaid bills, dinner preparation, kids etc. But all these can wait because now is the time to be happy and completely relaxed if you wish to astral project tonight. So make sure you do some more breathing practice or meditate. Am I dreaming?- There is a fine line between lucid dreaming and astral projection. In lucid dreaming though, you are sleeping and are in a dream world. 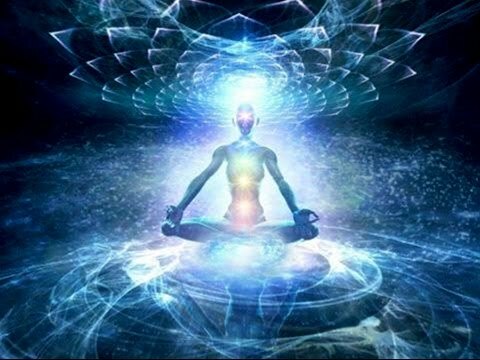 In astral projection, your consciousness is outside that of your body. You can control where you want to go in astral projection. Once you leave the astral dimension you are back in the physical dimension and into your body. Daily positive affirmations can help you in case you wish to astral project tonight. They will keep you in a positive state of mind so that you are in better control and your mind is free and happy. In the next part of this guide, we will study some more ways how to astral project instantly. Stay tuned!